Susan Snyder Retires after 32 years. All of us here at A.R.E. would like to give a special recognition to Susan Snyder. This month she is retiring after 32 years at the company! She has been a corner stone at A.R.E. since the beginning. Susan has pretty much done it all. She has been the HR, Accounting, Payroll departments all in one for a long time and done an excellent job! She has been through moving buildings, construction projects, machine purchases and countless other major changes over the years. She is a wealth of knowledge and experience and will be missed! Those who will be taking on her responsibilities have some large shoes to fill. In fact it is going to take two of us to do what Susan has done so seamlessly. Susan has always shown a kind heart to our employees, vendors, and customers. Her willingness to go above and beyond for someone else will be truly missed. We appreciate all her hard work and support throughout her years of exceptional service! Congratulations on retirement Susan! We all wish you the best! Thank you for being a part of A.R.E. Manufacturing, Inc.'s story! Enjoy the next chapter! Below is a slideshow of the retirement party and gifts for Susan’s last day here. Thank you to all of you who were able to make it such a special day for her! Alvin was honored last week by the Newberg School district; with the Partner in Education Award. Congratulations Alvin!! Tiger Manufacturing is a great program that would not have been achievable without his dedication. A.R.E. Publishes our first Quarterly Newsletter! Wondering what has been going on here at A.R.E.? Well, we would like to invite you to subscribe to our quarterly newsletter. Find out what our employees have been working on, what new articles and publications we have become a part of and other helpful tips for your home or business. You can sign up on our website at www.aremanufacturing.com. Our first newsletter went out in December 2018. The next one will be emailed in March 2019. Thank you for your interest in A.R.E. Manufacturing, Inc. If you have questions or topics you would like us to cover? You can email them to rachel@aremanufacturing.com. Enjoy! Every year for the employees pool together to get Alvin a gift for the Christmas party. This year we decided to support a local hiking trail that we know Alvin enjoys. He has spent many hours hiking these trails over the years so we made a donation in his honor. Great Idea and a good cause on top. Merry Christmas Alvin!! 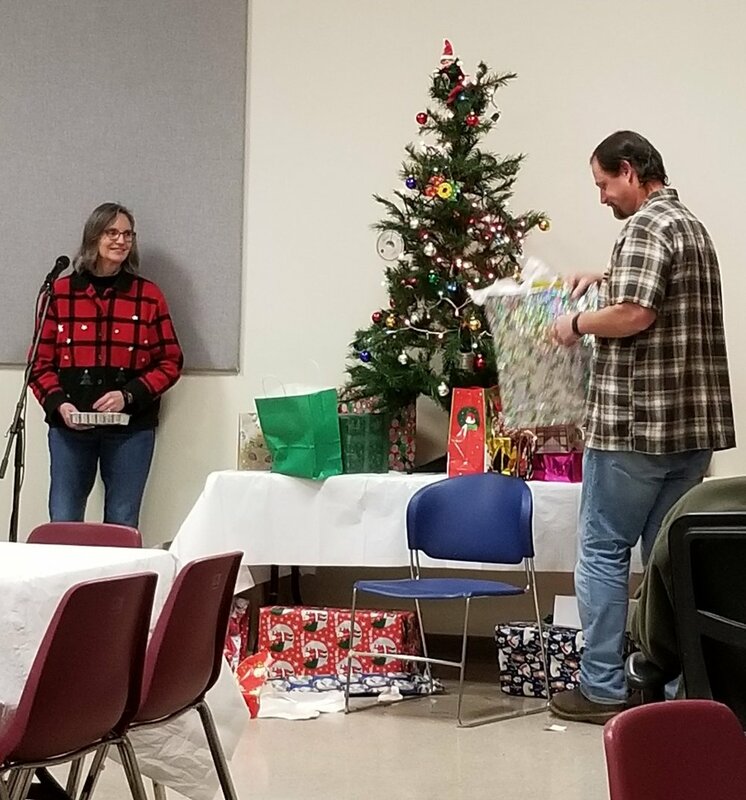 This last Friday, we had our annual Christmas party and gift exchange. Thank you to all you came out. It was a fun time with great company and good food! Merry Christmas! Willamette Workforce Partnership Published a photo of an A.R.E. Employee! One of A.R.E. Employees has his published in theWillamette Workforce Partnership "State of the Workforce" 2018 edition. Way to go Brad! Industry Week Article about A.R.E. Manufacturing, Inc.
A.R.E. is mentioned in this Industry week article. Check it out! Its a good read! Manufacturing Month at A.R.E. Manufacturing, Inc.! Value Stream- Features A.R.E. Manufacturing, Inc. this month! We are featured in the Value Stream this month! This is a great publication put out by OMEP – Oregon Manufacturing Extension Partnership as a resource for Oregon Manufacturers. Thank you for sharing our story! "OMEP's continued involvement is vital to our success and the development of manufacturing practices necessary to compete in the global economy. I believe that OMEP's program is critical to the success of manufacturing in the State of Oregon. Domestic manufacturers provide living wage jobs and organizations such as OMEP are essential in keeping manufacturing alive and well in the United States." President of A.R.E. Manufacturing, Inc. This last weekend a few of our employees were treated to a Fishing trip by Pacific Metal Company. They had a blast and we would like to say THANK YOU for the opportunity. Pictures are available thanks to Esther!